If you care for children in any capacity, you’ve probably experienced that feeling of such intense frustration that you want to throw a tantrum yourself. Or maybe it’s just me, but I doubt it. Many, if not most, foster/adoptive parents endure this phenomenon uniquely, as our children often exhibit extreme behaviors resulting from trauma. These behaviors may seem (individually or simultaneously) ridiculous, overdramatic, out of the blue, irrational, confusing, irritating, inappropriate,scary, destructive, concerning, or heartbreaking, and they frazzle our nerves to the point we feel we can’t take it anymore. To be honest, I’m a little embarrassed by how quickly and intensely I become upset when my fourteen-year-old son acts out. I have this bad habit of reacting to what is being said and done (the surface level stuff) rather than taking half a second to put the situation into its proper perspective. However, particularly with kids who have withstood past trauma, having the correct perspective is essential to effective parenting, otherwise we might end up responding to a problem that isn’t the actual problem. With the irreplaceable help of my wife (who has way more emotional intelligence than I will ever have), I’ve developed four statements to help me keep perspective when I’m tempted to fly off the handle. You’ll notice that in the previous sentence I didn’t use language like “effectively implemented” or “perfected,” because I’m still working on getting this whole perspective thing down. That being said, I have discovered that, when I actually take the time to put a situation into perspective, I’m able to remain appropriately calm and respond to my son more competently. You’ve probably heard about how there’s far more to an iceberg than what’s visible above the water and about how the vast majority of an iceberg’s mass exists underwater where it can’t be seen. Most likely you learned this, not in any science class, but in the context of human behavior. The point of the iceberg analogy is this: what you see of a person’s behavior is powerfully influenced by the beliefs, past experiences, emotions, and stressors obscured beneath the surface. If I come home from work and snap at my son for drinking half of two cans of Dr. Pepper, there’s probably more going on with me than mere frustration over the wasting of what amounts to 25 cents of soda. However overworked this analogy may be, it’s still a helpful clue for interpreting the behaviors of our children, especially when they have previous traumatic experiences undergirding their actions. Here’s a recent example from my own life. I picked up my son from a youth group event and noticed that he wasn’t wearing the overshirt he’d been dropped off in. Naturally I asked him about it, and he responded angrily and disrespectfully. It was tempting to get upset about the fact that there was no reason for him to speak to me that way, but thankfully I took a second to consider what was beneath the behavior. He had slept over at his friend’s house the previous two nights, and it was my wife who picked him up from his friend’s house and dropped him off at his youth group event while I spent time with a friend who was in town. Thus it had been three days since I had last seen him. Couple that with his history and fear of feeling abandoned and you can understand why he felt upset. Because I acknowledged the underside of the iceberg, I was able to respond to the actual problem (him feeling abandoned) rather than the perceived problem (him being disrespectful because I didn’t want him to forget his shirt). Because you haven’t been your child’s parent their whole life, you may not be familiar with every past experience that forms the submerged portion of their iceberg. However, I believe the more time you spend with your kids, the more you’ll come to understand the stuff going on underneath that affects the stuff going on above. You may not be able to figure out well-defined specifics, but hopefully you can identify trends that suggest what’s happening below. Knowing that there’s more going on than meets the eye is key to keeping perspective when challenging situations arise. 2. I signed up for this. I’ve gone on record as stating that I hate when people tell me “you signed up for this” when I explain the complex struggles that come with foster/adoptive parenting. Nevertheless, this is an important aspect of my own self-talk when I need to keep perspective while my son pushes me to the edge. It’s true, after all; I did sign up for this. No one forced me or bribed me to become a foster parent and subsequently an adoptive parent. Fully aware of the potential hardships that foster/adoptive parents often face, I still made this choice. Now, it’s important to point out that I don’t remind myself that I signed up for this as a way of blaming myself for the difficult circumstances I must now occasionally face. Rather, it is another way of regaining perspective, this time regarding myself. There’s a reason I filled out an interest request to become a foster parent even though the mere thought of it was terrifying. There’s a reason I kept attending the training classes even as the instructor highlighted the adversities that come with raising children from traumatic backgrounds. There’s a reason I kept chipping away at the voluminous licensing packet even while working professionally with families whose foster children were bringing utter chaos to their otherwise peaceful homes. There’s a reason I brought the boy who’s now my son into my family even with his history of disruptions due to behavior. There’s a reason I said yes when he asked to be adopted even though our age difference is only twelve years. There’s a reason I continue to stand by him even when he drives me to my breaking point. There’s a reason I signed up for this: I believe it matters and it’s worth it. Even on those days when it doesn’t seem like it matters and it doesn’t seem like it’s worth it, I have to remind myself that I became a foster/adoptive dad because, in my best moments, I still do believe it matters and it’s worth it. I don’t remember where I read it, but there’s some sort of quote that claims that what’s true in the light is still true in the dark. I agree with that wholeheartedly, which is why I remind myself that I signed up for this. Why did you choose to become a foster or adoptive parent? What motivations led you to this lifestyle? Hold on to those and remind yourself of them when things get so dark that you can’t figure out why you should keep going. You signed up for this for a reason. Don’t forget that! For whatever reason (and I can’t prove this scientifically), it seems that humans tend to be able to handle more when they know they’re not alone. It’s like that scene in The Lord of the Rings when Frodo speaks in a real awkward third person: “Frodo wouldn’t have got far without Sam.” Somehow, knowing that we are not the only ones going through something gives us strength to carry on. It’s that way if you’re trying to get the Ring to Mordor, and I’ve found it’s also that way if you’re a foster/adoptive parent. Whatever my son happens to be doing, he’s not the first child to do it. Whatever I happen to be feeling, I’m not the first parent to feel it. There’s a certain peace in the realization that my experiences are not completely new and there are countless other parents who have faced the same situations and yet made it through. It also helps that I’m friends with a couple other foster/adoptive dads I can rant to whenever and who will have my back no matter what. Having the support of people who’ve been there before and who know what it’s like is a crucial component of my ability to persevere. As a spiritual person, I also take great comfort in knowing that Jesus has felt similarly. Jesus knows what it’s like to love someone else so much that you can hardly contain it. Jesus (or perhaps in this case I might be better served to say God) knows what it’s like to feel rejected when his children don’t acknowledge him as Dad. Jesus knows what it’s like to serve and serve and serve and feel like he’s getting nothing in return. Jesus knows what it’s like to have his children (or, when he was on earth, his disciples) continually fail to get it no matter how many times or how many ways he explains it. Jesus knows what it’s like to take on pain he doesn’t deserve so that the ones he loves can be healed. 4. It’s supposed to hurt sometimes. My final reminder to myself is this: if it hurts, that’s okay because it’s supposed to hurt sometimes. Loving someone genuinely requires making yourself vulnerable to be hurt; otherwise, you’ll be closed off and unable to truly love with the amount of force and wildness that love naturally begets. If we’re constantly trying to protect ourselves from being hurt by our children, then we’re probably not loving our children the way they need to be loved. Therefore, sometimes (not always) feeling hurt can be an indicator that we’re doing something right. We’re not just hurt by our children though. There’s hurt to be had all over the place in the foster/adoptive journey. For instance, I never knew just how affected I would be by my child’s trauma history, but the sheer weight of it was jarring. I also had no clue how much I craved being called Dad and how much it hurts to be called all sorts of names (affectionate or otherwise) but never Dad. These things are not my child’s fault, yet they hurt nonetheless. But hurt isn’t always a bad thing. I had a professor in college (an adoptive dad himself) who said that suffering causes more growth than any other human experience, and that, while we should certainly try to mitigate as much suffering as possible, we shouldn’t count out the benefits it can provide. Raising these kids is hard and it can be painful. Of course, you shouldn’t seek out pain where it doesn’t exist, but experiencing it isn’t the end of the world either. As I said earlier, it might just be proof that you’re on the right path, because if we try to preclude all the pain this lifestyle may cause, then we’re likely precluding the love our children need. What do you do to keep perspective when your kids are acting out? Comment below or chime in on our Facebook page to share your parenting expertise with the rest of us! 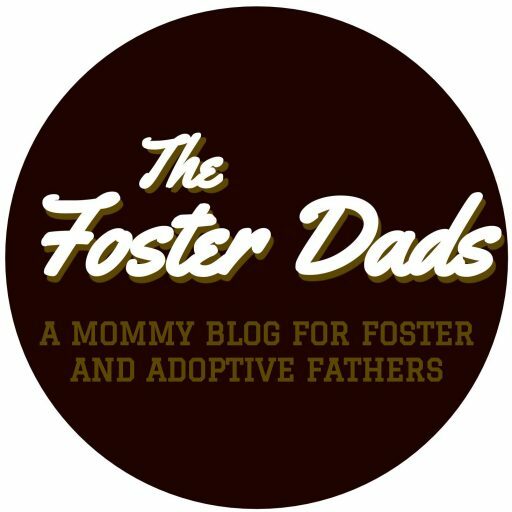 Next postSome Practical Things You Can Do to Help Out the Foster Dad in Your Life.